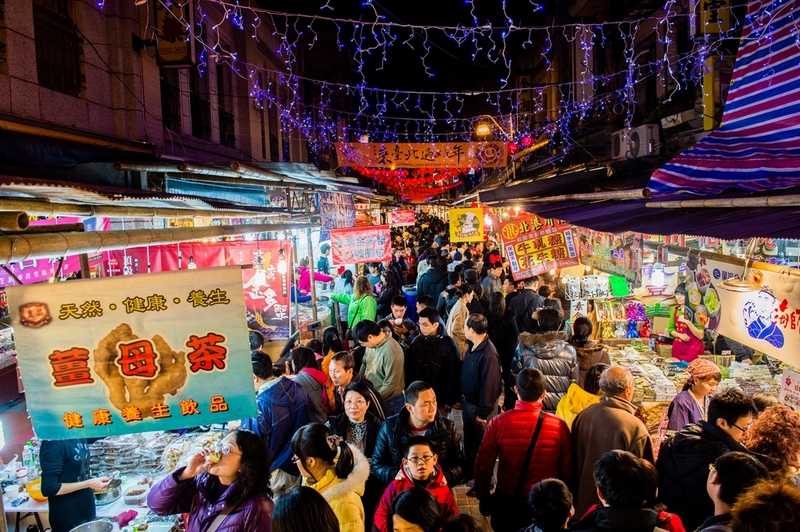 Dihua Street is crowded with people before the Lunar New Year. 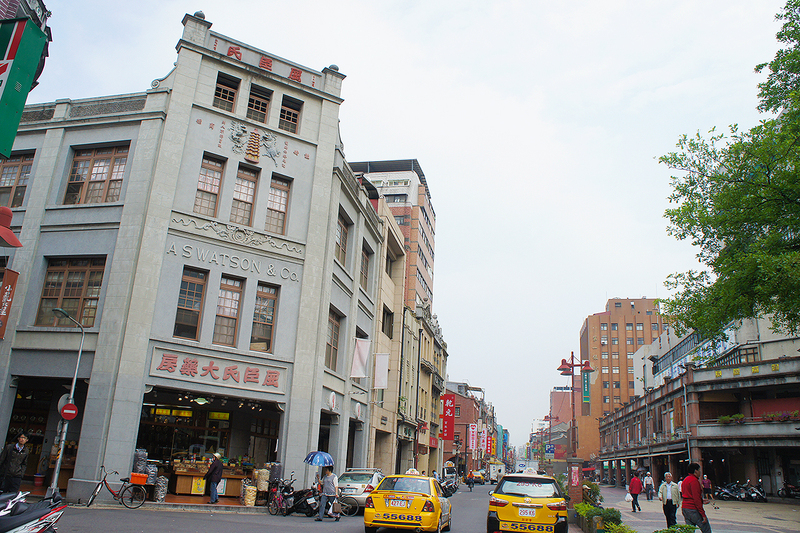 A walk through the Dihua Street Area gives visitors a feel of Taipei City's past. 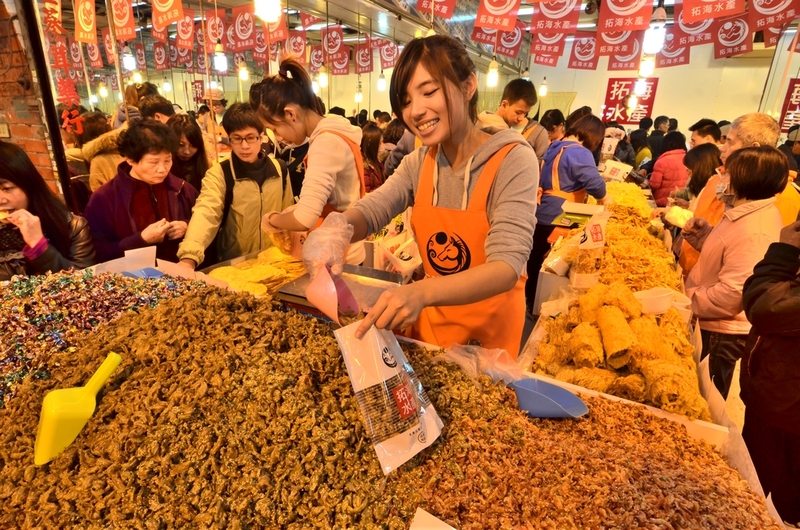 The old-town market has scores of shops selling a variety of traditional goods such as Chinese medicines and herbs, temple icons and incense, spices and dried food, colorful bolts of cloth, and bamboo and wooden crafts. 1. Nat'l Hwy 1 → Exit at the Taipei Interchange → Sec. 3, Chongqing N. Rd. to Sec. 2, Chongqing N. Rd. → Nanjing W. Rd. → Sec. 1, Dihua St.
2. Nat'l Hwy 3 → Exit at the Zhonghe Interchange → Prov. Hwy 64 → County Hwy 106A → Prov. Hwy 3 → Huajiang Bridge → HuanHe Expressway → Nanjing W. Rd. → Sec. 1, Dihua St.
1. Take MRT Songshan-Xindian Line to Beimen Station. From there, take Bus 250, 304 Chongqing Line, 639, or 660 to Yanping 1 (Nanjing). 2. Take MRT Tamsui-Xinyi Line to Shuanglian Station. From there, take Minsheng Metro Bus to Nanjing West Road Entrance. 3. Take MRT Zhonghe-Xinlu Line to Daqiaotou Station. From there, take Bus No. 9 to Nanjing West Road Entrance (Nijkou (“buttons”) Street).